The Vegas Knockout journey of the best hotel in Las Vegas is entering its sixth and final week. This past week four amazing hotels were knocked out due to the stiff competition. At the Four Seasons, I learned that the $20 trick may not be appropriate. At the Venetian, I learned that clothing is optional. At the Mirage, I learned that old hotels still hold character. At the Skylofts, I learned that I want to be richer. So how can it get better than those four? 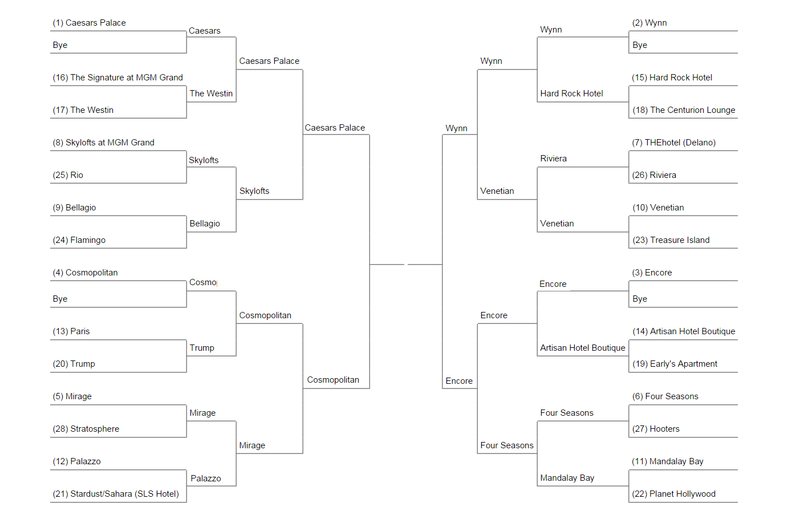 This week the Final Four of hotels pits the Encore vs the Wynn, the Cosmo vs Caesar’s unarguably the best hotels in all of Las Vegas. Who will be the grand prize winner? Find out this week as I leave Las Vegas forever.